In 2003 Mr. Amr Gharieb established the leading company in Desert Activities located in the south of the Red Sea, El Quseir - Marsa Alam. Amore Safari is located at Camel Yard Port Ghalib. 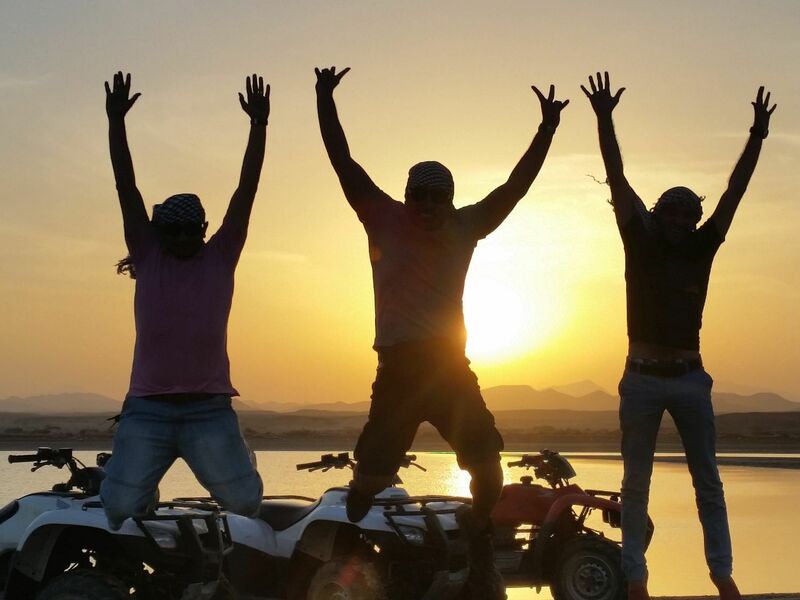 For more than 13 years Amore Safari is specialized in Quad, Jeep and incentive desert safari excursions. And we recently added new beach trips to our program! Our aim is to make the perfect fun adventures with high level of safety! We care about the compliance of safety precautions and we are fully insured, so you can only enjoy your day with us! Our Quads and Jeeps have been tested on a regular basis for safety and with our well trained staff you are guaranteed of a fantastic adventure! Besides safety, we care about our environment. In cooperation with the local schools we organize (free of charge) excursions and projects with the children. We provide the children with lectures and information about the importance of our environment. With this we hope that our new generations support our fragile desert and beach plants, animals and our people (Bedouins). If you have any inquiries, requests or questions, we are more than pleased to help you. For all contact information, please click button: contact us.